The war is finally over! Rejoice! 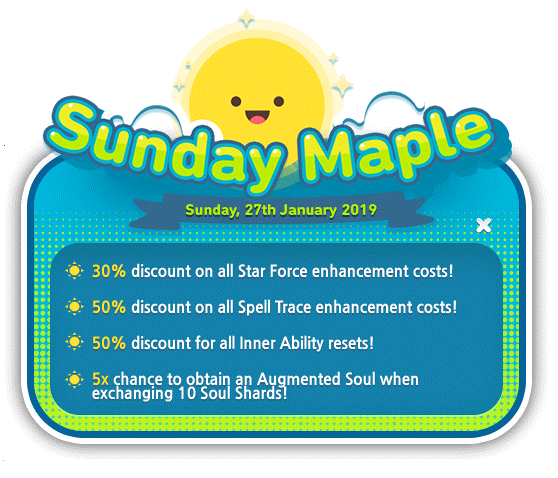 Celebrate this victory as MapleStorySEA brings you fun and exciting events! 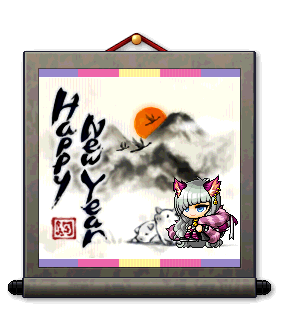 Enjoy the spoils with family and friends in memory of those who had fallen and for a New Beginning into the next arc of MapleStory! 3. 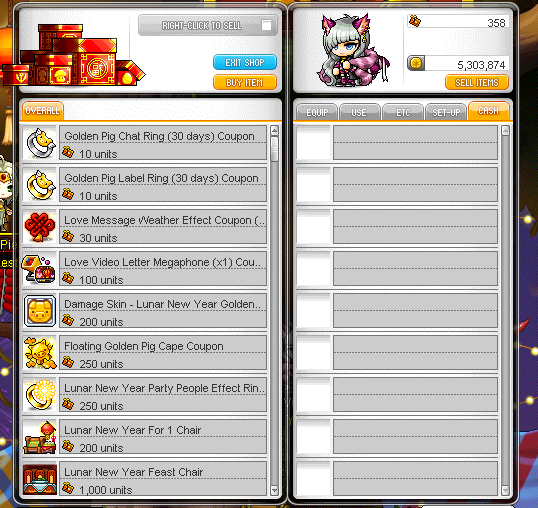 Gold Richie's Lunar New Year Party! 4. Happy new Year, Everyday! New year new me yo! It's the start of something new! 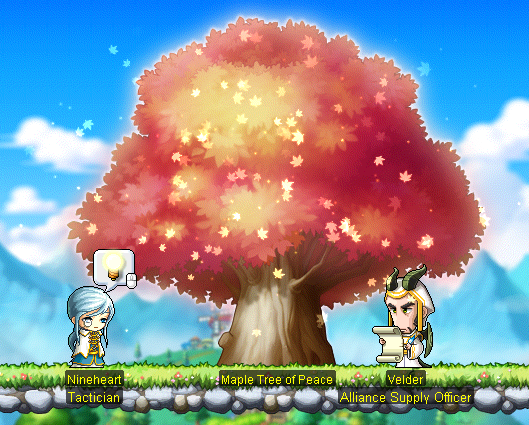 With the Black Mage's reign finally over, the Maple World can finally rejoice in a new era of peace! However, the Alliance's work is never done! They must inspire others as the Symbol of Peace and maintain elegant poise as always! The Alliance is thanking all of its members for an outstanding victory against the Black Mage, and who says victory isn't sweet? Simply login during the event and stand a chance at some very very sweet rewards! All boxes and certain items from the boxes have time duration. 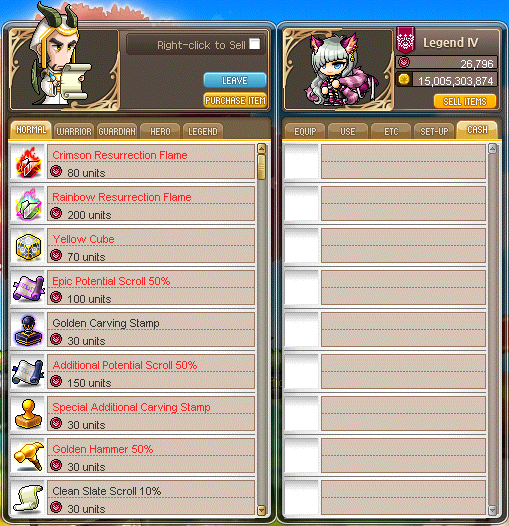 Each box will contain a guaranteed set of rewards and a raffle chance to obtain special items! Gold Richie's Lunar New Year Party! 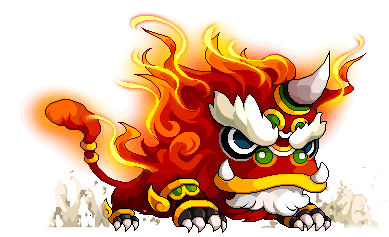 IT'S CHINESE NEW YEAR! 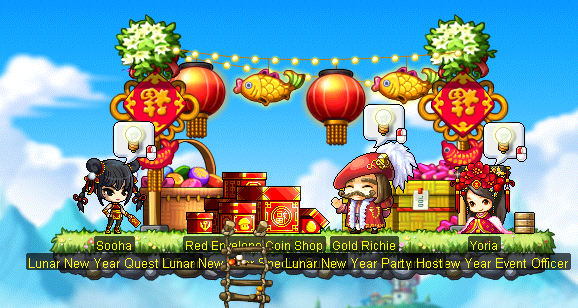 (or Lunar New Year) and Gold Richie brings a party to all our players to celebrate with classic and new events! Attention Heroes of the Alliance! 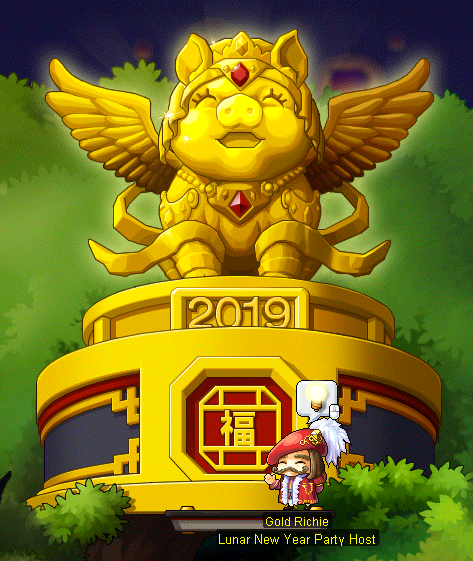 Gold Richie is holding the biggest Lunar New Year party in the history of Maple! He is inviting everybody from the peaceful region of Maple Island to the Brave Warriors that conquered Expedition of Tenebris to celebrate our victory over the Black Mage! This Event Map is the where the party is at! Nian is at it again! It has been kidnapping party guests from Gold Richies party! And so, being the very helpful and brave warrior, help bring these guests back! While others return home to see their families for the new year, many others stay behind.. Yoria has came up with a fantastic idea of helping these people send a message to their families with... a video letter! Dumplings! Dumplings everywhere! 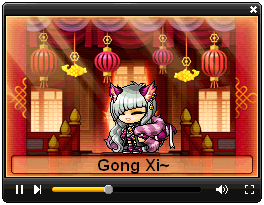 Yoria is bringing the Northern Tradition of Jiaozi to MapleSEA! So fill up on Jiaozi but remember to share them with your friends and family! 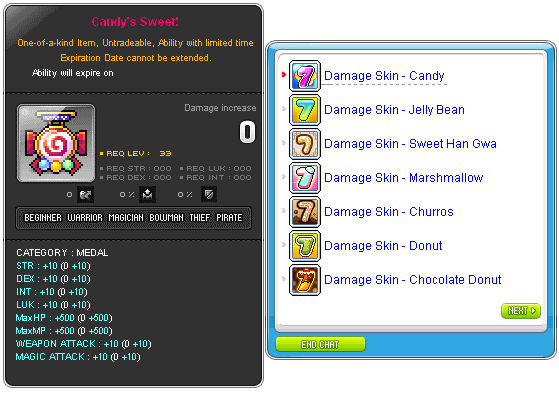 Feeling not too lucky (again)? 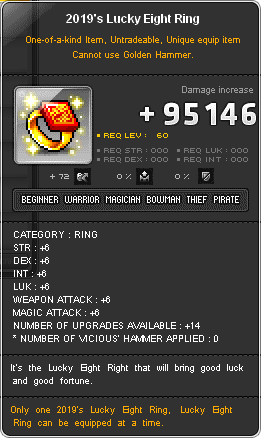 With the Lucky Eight Ring, bring fortune and luck this year (it works)! Like every other festive season, there will always be fireworks! 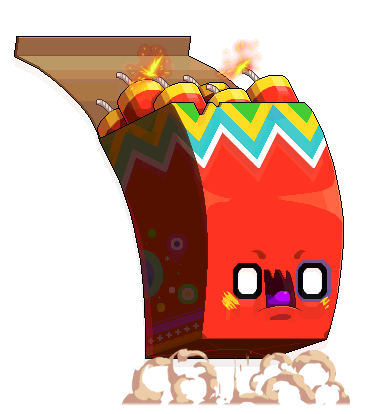 This time round, the Firecracker Monster is back again and is terrorizing Maplers in Henesys, Leafre & Nameless Village! Help the Alliance out by Hunting these monsters down and get some sweet mysterious rewards while doing so! Everyday can be a new year! Well.. not actually but Cassandra seems to think so. 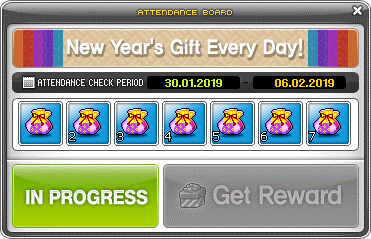 Therefore, let us celebrate the Lunar New Year with this event that will reward players just by playing everyday! 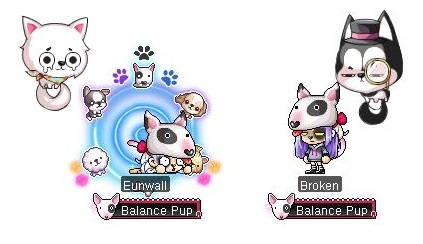 A puppy balancing in the air? What sorcery is this?! 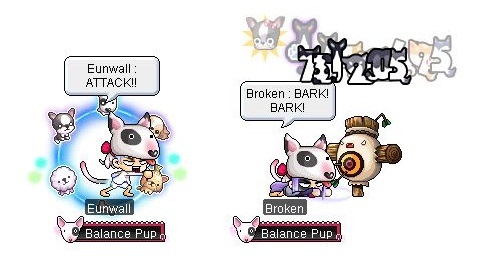 Woof Woof Wo-'woo'~ Woof Woof Woof Woof! Woof Woof Woof AROOOOOOOO! Unlock various types of appearances, each of them available upon clearing daily missions! Obtain rewards by completing daily missions and earn Balance Points to unlock more appearences! Obtain additional rewards based on the number of completed mission under each daily mission category! It's Valentines day again! 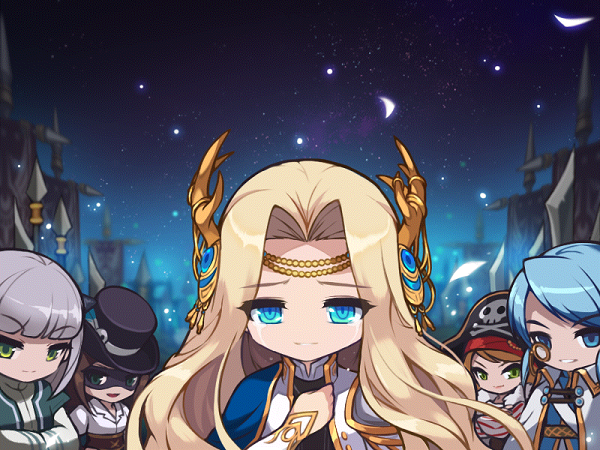 As usual, Cassandra will be giving out forever alone Valentine gifts to all players who logs in during the event period! Gifts! Gifts Everywhere! 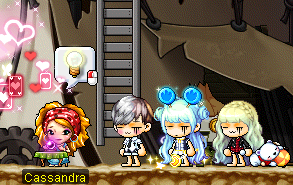 Let's brighten up the mood before Valentines Day with free gifts straight from the Maple Administrator herself! 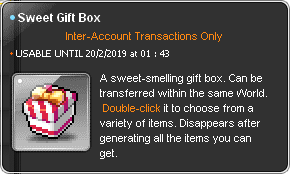 Simply log into the game during the event period to obtain the Sweet Gift Box! 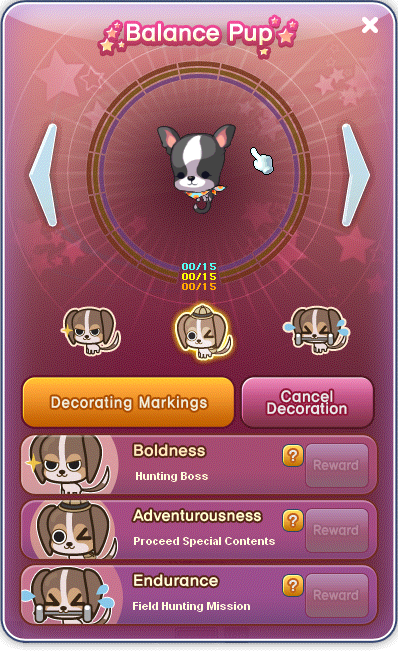 100% Success Rate when Star Force Enhancing at 5/10/15 stars!